Lead has recently been classified as a Substance of Very High Concern by the EU under REACH regulations. Developed for X-ray environments, the Knauf Safeboard lead-free plasterboard range has been fully tested by the Health Protection Agency. 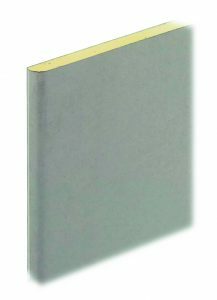 Knauf Safeboard is an X-ray resistant plasterboard with barium sulphate in its core. It effectively and significantly reduces the amount of lead needed within X-ray shielding partitions and, in many cases, removes the need for the use of lead altogether. The distinctive yellow core of the barium sulphate within the plasterboard is the vital ingredient which blocks X-rays across the entire surface area. Each board is rigorously tested to ensure radiation tightness so you can be confident the product is suitable for use within hospitals, dentists and veterinary practices. The plasterboard is easy to install and does not require specialist construction skills. It can simply be scored and snapped then fixed into place before the application of Knauf Safeboard Joint Filler and finished with Knauf Airless spray-applied plaster. 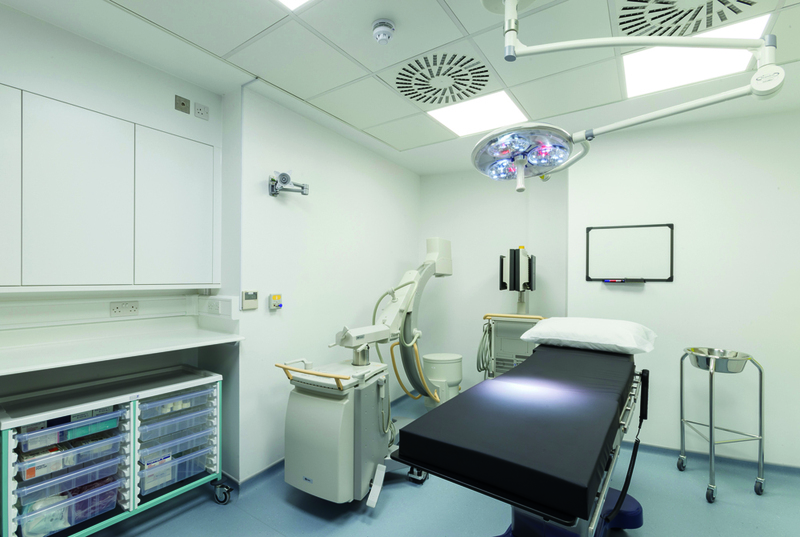 This plasterboard range is fully fire resistant and achieves excellent acoustic performance in addition to its X-ray protection.